A thin-film solar cell (TFSC), also called a thin-film photovoltaic cell (TFPV), is a solar cell that is made by depositing one or more thin layers (thin film) of photovoltaic material on a substrate. This book deals with some physical properties of Sulfur binary and ternary thin films used as buffer and absorber layers in solar cells and prepared using economic spray pyrolysis technique. 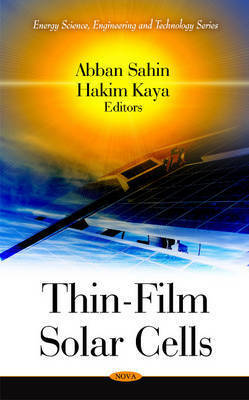 This book also investigates some thermal properties of Zn-doped binary thin films used as solar cells buffer layers and prepared using economic techniques. Other chapters in this book describe the development of diverging band gap amorphous silicon materials and their optoelectronic properties, the unique one ampoule Bridgman method, as well as the cleavage and twinning characteristics of the single crystals and how they are influenced by annealing, etching, deviation from stoichiometric starting proportions and by the addition of sodium. 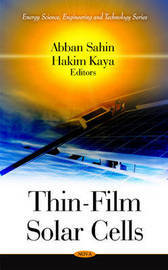 This book also investigates emerging trends that might lead to additional commercial c-Si thin-film solar cells after 2010.